Microsoft Exchange Online can route outbound mail through an on-premises server or a hosted service (sometimes called “smart hosting”). This enables organizations to deliver email to business partners through private networks, use data loss prevention (DLP) appliances, and perform custom post-processing of outbound email. 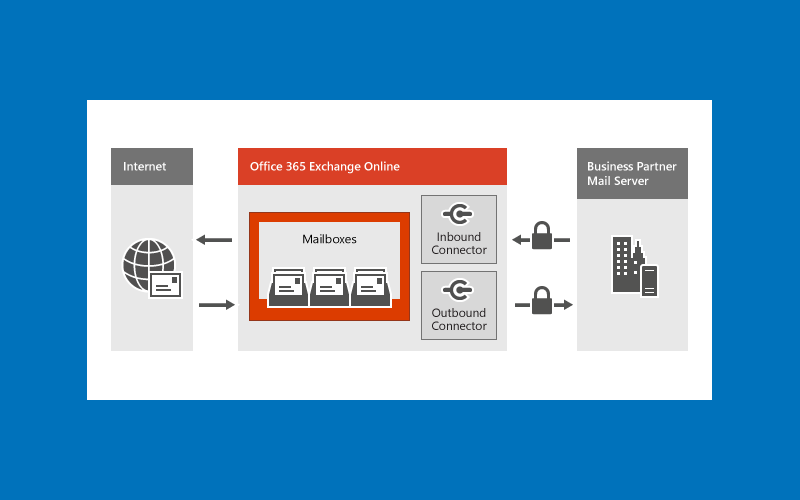 Exchange Online also supports Address Rewrite, in which outbound email is routed through an on-premises gateway that modifies the addresses. This feature enables organizations to hide sub-domains, make email from a multi-domain organization appear as a single domain, or make partner-relayed email appear as if it were sent from inside the organization. Administrators configure custom email routing within the Exchange admin center (EAC).